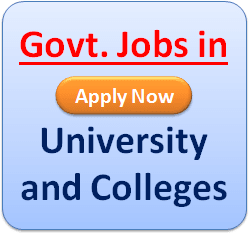 CU B.Ed Admission 2019-20Calcutta University .Ed Admission 2019 Form | Process | Notice | CU Correspondence Distance B.Ed Admission 2019 |Eligibility | Cut Off | Result | Last Date CU B.Ed Admission 2019-20. Applications are invited by Calcutta University (CU), for admission to Bachelor of Education (B,Ed) Course commencing in the session January 2019. The Bachelor of Education (B.Ed.) Programme of CU aims at developing the understanding and competencies required by practising teachers for effective teaching-learning process at the secondary stage. Duration of the Course: The minimum duration of the programme at CU is two years. However, the maximum period allowed for completion of the programme will be four years. Education 10) Political Science 11) Hindi,12) Urdu and 13) Arabic. 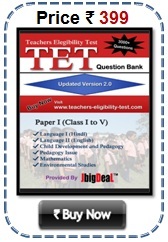 CU B.Ed admission Eligibility: Applicants should have obtained at least 55% marks (for SC/ST/ OBC | Physically Challenged candidates 40% marks) in B.Ed./Equivalent degree and two years teaching experience from CBSE/ICSE/NCTE/the State Boards affiliated school/institution/organization after getting B.Ed./Equivalent degree. Age limit: 40 years for Fresher Candidates and 45 years for Deputed candidates as on 30.6.2014. Scheduled Caste ,Schedule Tribe and Physically Challenged categories. I have done my graduation from magadh university in previous year.I want to know about b.ed..when Nd which month will tha admission Nd process start in CU. Sir, when or from which month will the form and admission process start for b.ed in calcutta university? Will the forms be distributed online or manually? If manually then from where will we get the forms? Please inform me.When will be new admission from fillup? I have created my account to apply for B.Ed in CU..but i could not logging in it..what should i do now? ?please help me. When B.ed admission form will be available? 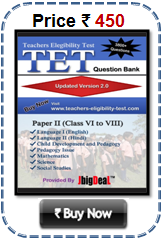 Teachers Eligibility Test (TET) 2019 , USA 4.7 5.0 73 73 I have done my graduation from magadh university in previous year.I want to know about b.ed..when Nd which month will tha admission Nd process start in CU.